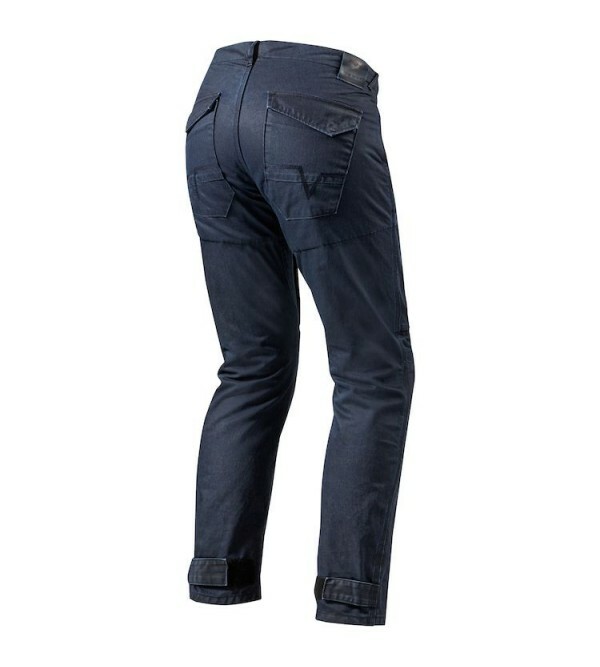 The REVIT Recon Jeans sport workman styling through abrasion resistant 11oz Cordura denim with a unique finish that makes the jeans stand out. Adding to the ability to withstand abrasion is the strategically positioned PWR | shield at the knees and seat. The jeans are constructed with PWR|yarn in triple stitches, ensuring sturdy seams. 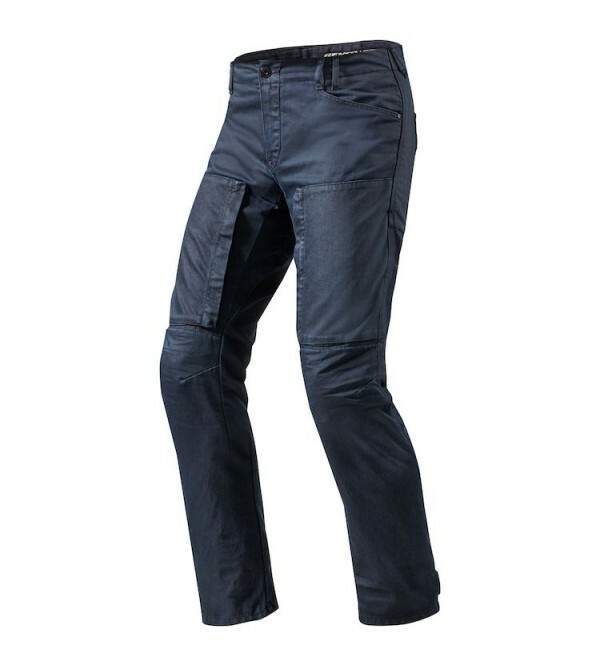 The Recon comes standard equipped with the extremely thin CE-rated Seesmart knee protectors, making it virtually impossible for the untrained eye to recognize them as motorcycle jeans. For extra protection the Recon jeans can easily be upgraded with Seesmart CE-level 1 hip protection thanks to the installation pockets. The workman style is supported by an array of pockets, including stash, slid, and back pockets. Simply turning up the trouser legs reveals cleverly hidden 3M Scotchlite that announces the rider’s presence in the dark.